Das Best Western Moriarty Heritage Inn ist ideal in Moriarty Stadtzentrum zu finden. Erleben Sie ein schöner Aufenthalt in der Nähe von alle Sehenswurdigkeiten. Bestpreisgarantie und exklusive Angebote. Erleben Sie alles – Naturwunder, eine reiche Geschichte, großartige Golfplätze, eine produktive Geschäftsreise und spannende Unterhaltung – bei einem Besuch in diesem Hotel in Moriarty, NM. Das Best Western Moriarty Heritage Inn liegt nahe der I-40, sodass Sie regionale Attraktionen mühelos von hier erreichen. Geschäftsreisenden ist ein produktiver Aufenthalt sicher, da der Flughafen von Moriarty sowie Unternehmen wie „Corrections Corporation of America“ und „Travel Centers of America“ nur eine kurze Autofahrt entfernt sind. Machen Sie diesen Familienausflug unvergesslich – Wildlife West Nature Park und National Soaring Museum liegen in der Nähe dieses Hotels in Moriarty, sodass Abenteuer und Erkundungen nie weit entfernt sind. Erleben Sie die historische Vielfalt der Region bei einem Besuch des Salinas Pueblo Missions National Monument und des Museums der Moriarty Historical Society. Spielen Sie eine Runde Golf auf dem Golfklub Paa-Ko Ridge, oder fahren Sie Ski bei Sandia Peak Ski. Das Schulviertel von Moriarty Edgewood liegt ebenfalls ganz in der Nähe, sodass Besucher von Veranstaltungen und Turnieren nicht weit reisen müssen. Für Reitsportbegeisterte sind die Rockin Horse Ranch Barrel Race Series und die New Mexico Cutting Horse Association günstig von diesem Hotel in Torance County zu erreichen. Albuquerque, Santa Fe und Santa Rosa sind nicht mehr als 140 km entfernt, sodass Gäste weitere Schmuckstücke dieses bezaubernden Bundesstaats erkunden können. Im Hotel selbst bieten unser beheiztes Hallenbad und der Wannen-Whirlpool erholsame Entspannung. Weitere Ausstattungsmerkmale wie ein Fitnessstudio, ein Business Center, Tagungseinrichtungen und kostenlose Parkmöglichkeiten machen Ihren Aufenthalt in diesem Hotel nahe Estancia noch lukrativer. Vergessen Sie den Alltag in den sauberen und geräumigen Zimmern dieses Hotels in Moriarty, NM, umfassend ausgestattet mit Kabel- oder Satellitenfernsehen, kostenlosem drahtlosem Internet (Wi-Fi), Mikrowelle, Kühlschrank und vielem mehr. Morgens sorgt ein kostenloses komplettes Frühstück, mit Müsli und Cornflakes, Saft, Kaffee, Obst, Eiern und weiteren warmen Artikeln, für einen perfekten Start in den Tag. Unser hilfsbereites Personal steht bereit, um Sie in diesem Hotel von New Mexico willkommen zu heißen. Reservieren Sie noch heute im Best Western Moriarty Heritage Inn! Wir wünschen einen schönen Aufenthalt. Clean and friendly facility. Staff is very helpful. Breakfast was tasty and warm. This was our 3rd stay here and we have experienced the same friendly service each time. Easy access to the interstate. At check in we were greeted quickly with a smile and offered cookies and hot coffee. The room was nice size and adequately furnished. The suites even have a mini kitchen; microwave, refrig and sink. This hotel suite would be very nice also for an extended time. The spa was hot and comfortable as well as relaxing. We enjoyed the one night relaxing stay. "Facility was very clean and the staff was friendly and professional." I stayed here by chance traveling to Illinois..The facility was clean and appealing in and out and convenienly located off the I-40. I asked the desk staff to recommend a good restaurant and they pointed me to one of the best bar-b-que's I have been to in a long time. It is located on old Route 66 complete with nostalgic shopping. This will be my stop for future trips back and forth from AZ to IL. YAY !!! So happy to be your regular stop :) Thank you for a great review and your continued business- we appreciate you !!! Desk clerk was outstanding. We really felt welcome and she was still on duty when we checked out. She was the best in this position by far from all of our travels. She wrote down two items to improve the room we stayed in. The water in the toilet tank ran constantly and the drain pipes under the sink were grody. We joked that plumbers aren't the tidyest of professionals. Her husband is a plumber. A security person (I believe) noticed that I was walking my dog for an extended time. He came out to see if I needed help. I didn't, but suggested to him that the motel provide doggie waste bags to guests arriving with pets. The area behind the motel contained a lot of unpicked-up dog doo. He thought it was a good suggestion. My leash has bags attached to it which I always use. We are absolutely impressed with the hard surface flooring in the rooms, instead of yucky carpeting. Great improvement!! So happy you enjoyed your stay with us :) Thank you for a great review - I like the suggestions !! So happy you enjoyed your stay - despite the hiccup with the points :) Thank you for a great review !!! Stayed here as we traveled cross country without reservations at any particular spot. Had no trouble getting a room here at a great rate! There's plenty of parking and a pool. Our room had a microwave and a fridge and was very clean. (I'm fussy!) Staff was very friendly and breakfast was OUTSTANDING! I highly recommend! All employees and staff were supper accommodating and nice. I can't say enough how helpful everyone one was. The night manager (gal) was awesome! The continental breakfast was outstanding too! I forgot my pillow and they mailed it back to me in California now that's service. If I'm ever back in the Moriarty NM area I will definitely stay again. Thank you for making our stay very pleasant . My stays have always been great. The team there is excellent. I stay there when I am working in that area. There are lots of good places to eat even tho it is a small town. The rooms are comfortable and if I have a problem it is taken care of immediately. So happy you enjoy your visits to us :) Thank you for a wonderful review !! We stayed here December 31, 2018 after driving through a snowstorm and deciding to call it a night. We arrived about 7 pm and the hotel had plenty of rooms available. Ana and Stacy at the front desk were informative about the forecast and getting us checked in. They told us if we decided to stay another night, just to let them know in the morning, it wouldn't be any trouble. Our room, 205, was clean and comfortable. There weren't too many electrical outlets though. The bathroom was spacious and had plenty of counter space. The heater was quiet during the night. Our room was near the back of the building facing a street, but we didn't hear any noise. The hotel wasn't too far off the interstate and had plenty of free parking. The breakfast was the typical hotel type - eggs, gravy, sausage. This Best Western Moriarty Heritage Inn is a very good place to stay and I appreciated to see they maintain the tradition of having a Bible in the room. The breakfast was very good and the eating room was clean! Staff was very good and helpful. Thank you. "Surprise in a small town"
Very nice hotel with helpful, friendly staff. Club chair and ottoman in our room! Warm cookies in the lobby when we checked in! 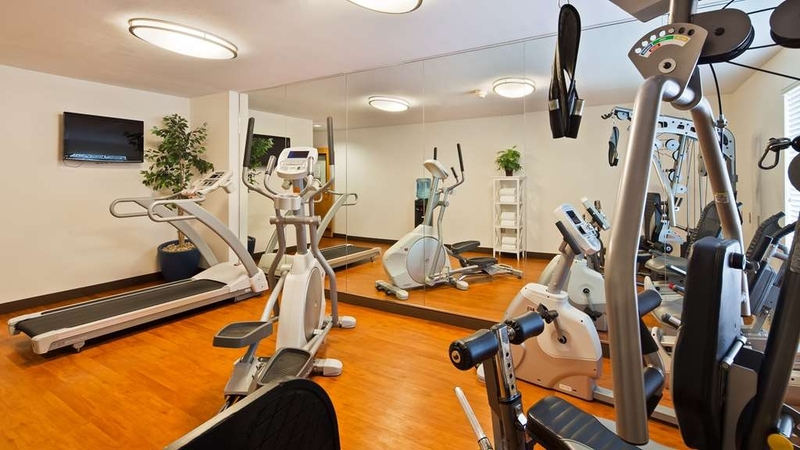 Well equipped fitness center and indoor pool. We would definitely stay here again. If you are ever stranded in Moriarity due to weather, this is the place to be. Due to snow, Interstate 40 was closed in front of us driving on New Year's Day from Albuquerque back to Texas. We were able to get one of the last rooms here and were thrilled to be warm and inside. Two emergency shelters were later set up in town for all the stranded travelers. The staff had been working many days straight because of an earlier storm, but they were professional, welcoming, and accommodating. The only negative was that the walls were a bit thin, but it was a great place to wait out the storm. This hotel is the best!! Very pleasant and accommodating employees, very well appointed, comfortable rooms, delicious breakfast offerings,etc.! I will stay at this place every time I pass through here! Thank you for a wonderful review and for staying with us :) We look forward to your returning visits !!! 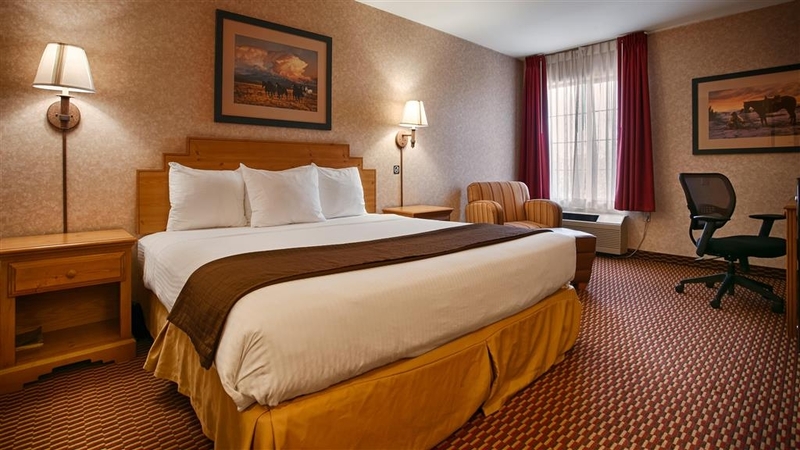 The room was very clean and the bed was very comfortable Staff Was very kind and. Friendly. Breakfast Food was very good and staff serving it was awesome. Water and coffee and cookies were served and FREE the night that we arrived. They made sure that we enjoyed our stay. I was a little worried about the location because I was unfamiliar with the area but it turned out to be a very quiet place right off of the highway. The staff were very friendly. I will stay there in the future if I'm ever in Moriarty again. Have stayed here many times. It is just a 'regular' property - but it is always clean, the staff is always friendly. The pool and hot tub are clean and comfortable. 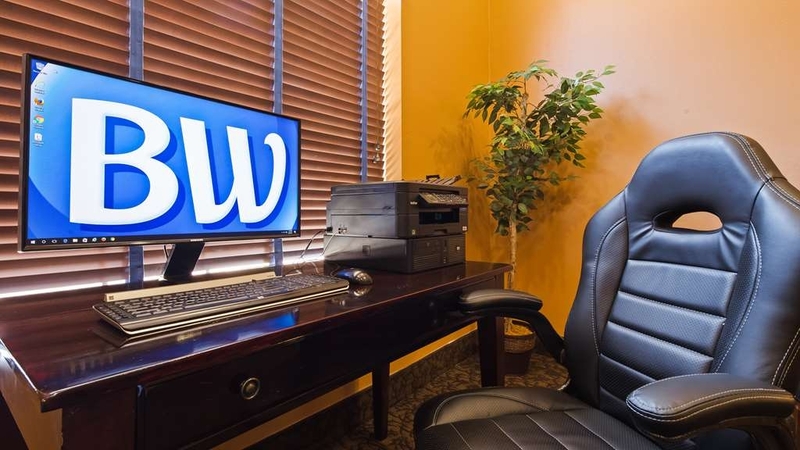 The BW in Moriarty is a great place to stay and we recommend it highly. "Best Western Moriarity NM Funeral"
Our whole family (7 members) were extremely happy with the Best Western in Moriarity The hotel staff and housekeeping were friendly and extremely helpful, especially when there was a sudden snowstorm the first night of our stay. We were in Moriarity for a funeral and most of us stayed for 3 days. We could not have been more satisfied with the excellent breakfast, rooms and support. To Kim, the manager, Sarah, Stacy, Clairemarie..Thank you!! We stayed here on the way to Utah and then coming back from Utah. Prices much better than in Albuquerque! Very clean, spacious rooms. Bed was great. Excellent check-in..so easy. Breakfast was great as well. Oatmeal...cereal eggs meat..all you need. Work out room was good...except not sure why treadmills don't FACE the TV. ?? Other than that...No complaints! "Bright spot of our long drive!" We stayed at this hotel on our way from Oklahoma. We considered stopping at other towns along the way but the deal I found was best here and I'm so glad we ended up at the Best Western in Moriarty. We arrived a little after 9pm and the front desk attendant was very welcoming and got us checked in quickly. Provided the info for the beverages available at the desk at all times and gave us the info for the breakfast the next morning. We had a few minutes to enjoy the indoor heated pool and hot tub which was clean and warm. The rooms were a great size with fridge and microwave in the room. Cable had a large channel line up with direct TV. Beds were comfortable. The breakfast the next morning was well stocked and had a good variety of options including hot items (eggs, bacon, sausage, potatoes), pastries, toast, waffles, fruit, yogurt, coffee, juices, and water. Even more exciting for this native New Mexican, green chiles and chirizo was available as well!Highly recommend this hotel if your in the area for your travels. I was greeted, when I walked through the door, by a great atmosphere and super kind desk woman. There was ice water, lemonade, coffee and cookies out in the lobby. The room was very clean and smelled great. In the morning, another cheerful desk woman greeted me and chatted for a bit. There was a basket of apples out for the people who needed to leave before the breakfast was out. Excellent experience, I wish all hotels were like this!! "GREAT STAFF, good room, good price!" The room and everything in it was clean. The check-in staff were GREAT! The young man plays the piano and we had a lovely discussion as I checked in, which happened quickly. Good cookies and the breakfast was amazing. Indoor pool, jacuzzi, and the fitness room was clean. While I did hear noise from the hallway, the room itself seemed better insulated than most hotels' paper-thin walls, which I greatly appreciated. The young woman, ClairMarie (sp?) was incredibly helpful with enabling my Kindle on the wifi, and I greatly enjoyed discussing family with her and her interest in becoming an ultrasound technician. Great hotel to stay at as a midway point between central Oklahoma and Arizona. "Great Stopover East of Albuquerque"
Clean, comfortable, and easy interstate access. Less expensive than Albuquerque options and if your traveling East on I-40, it gets you 30 minutes past Albuquerque traffic. Not a lot of restaurant options in Moriarty though, so stop in Albuquerque for any meals. Pool and spa were nice, room was comfortable. Breakfast was hot and included a good variety, including red and green Chile! Desk clerks were all extremely friendly and welcoming. John and Jennifer are who we dealt with. Parking lot could be lit better, but overall a very good stopover and we would stay again. So happy you enjoyed your stay with us :) Thank you !!!! The staff went above and beyond to help out my wife and I. We had flown a small plane to the local airport, and borrowed the courtesy car to drive to the hotel. During the night there was a hard freeze, and in the morning we couldn't get the car started. The hotel manager was very kind to give us a ride to the airport. Without her help, I'm not sure how we would have gotten home. So happy to have helped and met you both :) Thank you so much for staying with us - FLY in anytime !!!!! "Wonderful 4-night stay at the Best Western Moriarty"
The rooms were immaculate, breakfast was very, very good, the staff were wonderful and helpful and friendly, the hotel was clean and we felt like the hotel really cared about their guests and the service they received. Clean hotel with little perks that made our stay even more enjoyable. Hot fresh cookies after 5pm in the lobby, as well as coffee, hot tea and pink lemonade 24/7. I had a hard time keeping the kids out of the indoor pool to go see other things. Very convenient location to get back on the interstate and plenty of parking if you're pulling a trailer or driving a motorhome. "One night stay on road trip "
Best western heritage moriarty is right on Old Rte 66. John and Levi checked us in last night. They were nice and friendly, offered us coffee and lemonade. There is an indoor pool and hot tub both with their own handicap lift. A full hot breakfast of scrambled eggs, sausage, potatoes, biscuits and gravy, oatmeal, fresh yogurt, toast, cereal, bagels, milk, juice and of course coffee. They have a public laundry and workout room as well as ice maker room and soda/ snack vending machines. The room was big and clean, with a fridge, micro and small table/ chairs. The bathroom was big ( we had handicap room) with good handrails, large walk-in shower with bench and good handrails inside shower also. The air conditioner worked well. All of the staff we encountered was very friendly. I would stay here again no doubt. I thought the price was good also. "Excellent place and managed well!" We stayed at the Best Western while in town to watch our high school senior in a volleyball tournament in Moriarty. There were at least 5 different schools staying here as well so I was a little nervous about how quiet it would be. The management said that all the teams were on one end of the hotel and regular guests on the other. I have to say this was one of the best stays in ANY hotel we have stayed in. I don't know what most travelers are lookin for in a hotel, but I look for cleanliness and upkeep of the hotel first, clean rooms, beds, bathroom next. This hotel was excellent and the beds were extremely comfortable. I take my own pillow when I travel so I can't tell you if the pillows were comfortable. Air worked perfect and the room was comfortable. Several fast food choices next door and a breakfast in the hotel. I will definitely stay here again if in the area! By the way... never heard a peep out of any of the young ladies playing in the tournament! Good job BW! Clean, well maintained hotel. Staff is very nice and the owners of this hotel seem to care about the property. This is the fourth year we have visited Moriarity for a bike race and the Best Western has been consistent on every occasion. Thank you for staying with us :) We look forward to your next visit !!!! "This place was worth the money and I got the better end of the deal." I was driving back east from visiting family in California. I had been travelling for close to three weeks when I stopped at the Best Western in Moriarty NM. The staff was friendly and professional and it was the best room I had in my travels (this was the fifth out of five hotels I stayed at during my trip). I liked the layout of the room and honestly wanted to stay in bed because the bed was really comfortable. This place was more than worth the money. Thank you for a wonderful review - I am so happy that you enjoyed your stay with us :) Next time, stay long enough you can sleep in in that comfy bed !!!! "Decent - not fancy- clean"
"I'm coming back to Best Western!" Wonderful experience! Started with excellent service from John upon check-in. A professional, knowledgeable, considerate employee. Room was clean and comfortable. 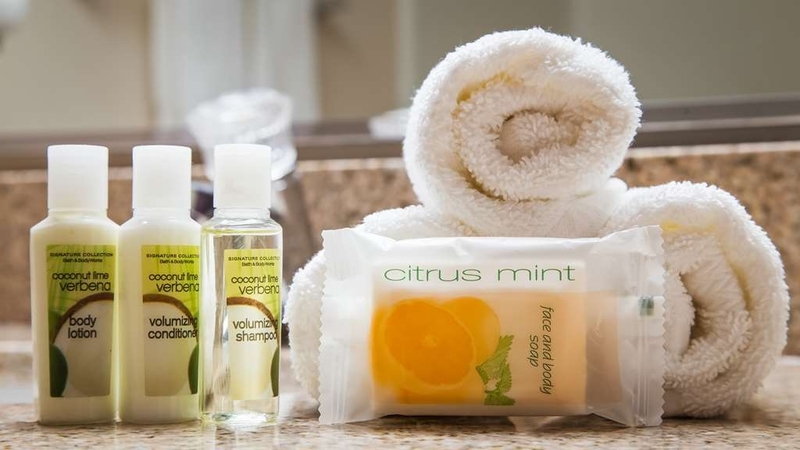 Amenities were of a good quality. I was impressed after 5 nights on the road. The room was very clean and very nice, but the other important amenities for us- indoor pool and full breakfast were disappointing. The beds were very comfortable and provided plenty of towels, s ok that was a plus. However..... our granddaughter wanted to swim. The pool water was a light green. I am not exaggerating! But we attempted it anyway, until I found wads of hair floating. I went to the front desk and the gentleman was very nice said he would go try to clean the hair out. But the water was green! The breakfast served cold eggs and ran out of items and the worker did not replace them. I would not stay here again. This is one of the best best westerns we have stayed at. Very clean and super friendly staff. Comfy beds and great breakfast with fresh yogurt! A few restaurants within walking distance. We would definitely stay here again. I very rarely write reviews - only when I am particularly impresessed. Everything I would expect in a hotel was there and more. The hotel and rooms were clean and well maintained. The staff were very friendly and made every effort to meet our needs. The pool, hot tub,and fitness center were all excellent. The room was comfortable and was equipped with both a refirgerator and microware. They had a great variety at breakfast. We will definitely stay here next time we are traveling through this area. Thank you for an amazing review :) We appreciate you and look forward to a return visit !!! "Consider Best Western Heritage Inn when riding Route 66"
This motel is located right on Route 66, and while I did not stay here during a bicycle trip/tour, this motel has all the amenities you would expect and want during respite on a bike tour. 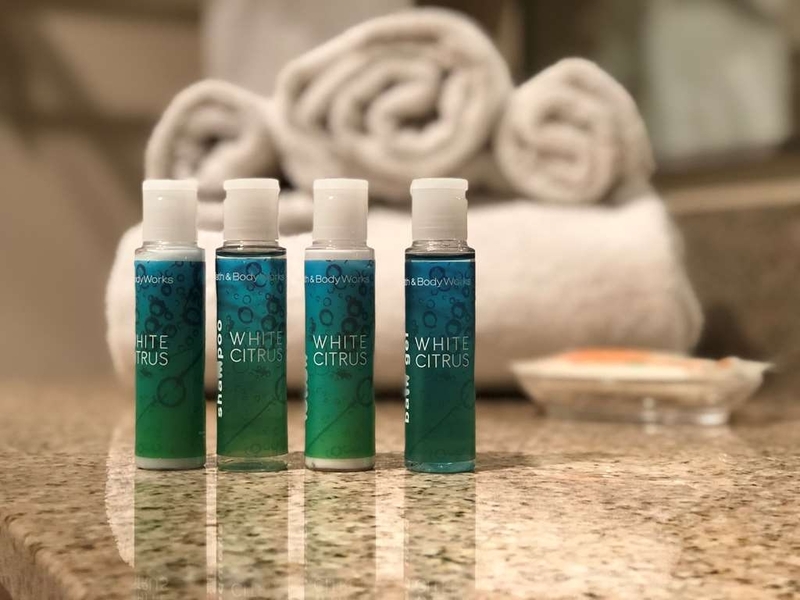 The staff were friendly and helpful, pool and hot tube well maintained, clean fitness room (in case you need an upper body workout ;) ) and clean, comfortable rooms. The beds were quite comfortable, ensuring a good night's rest. Also, the complimentary breakfast was much better than one would expect, offering hearty and healthy options as well as red and green chile- a must on any menu when in New Mexico. Overall, very comfortable and a good value. Friendly, helpful staff. Full breakfast, pool, fitness center, all the amenities. What more could you ask for? Pet friendly. The beds are comfortable and the entire place is clean. I stay here more than at home and it is quite comfortable. We really enjoyed our stay here - we were headed east and wanted to push through Albuquerque so this was the perfect stopping point for the evening. The breakfast was fantastic (thanks for the green chili)!! Super friendly helpful staff! We stayed here on the first leg of a month long road trip. We initially had planned another location, but decided to call it a night early. The staff was amazing. They couldn't be more accommodating and welcoming. We enjoyed warm cookies and punch (which we may or may not have pumped up a bit) while checking in. Our room was decent sized, with a fridge and microwave. We had the pool to ourselves, and it was warm and relaxing. The morning breakfast was very good-we loved the salsas that you normally do not find at hotel breakfasts. It isn't a place we'd probably end up again, but if you are in the area, I'd highly recommend staying. The staff is phenomenal. "Excellent discovery in Moriarty NM"
Nice facility and superior staff. The room was clean and quiet, and we were offered everything that is advertised. One of the amenities I didn't see listed was a fitness center. They have a very nice universal gym and several other machines. We plan to stay at this BWI again - it was much nicer than the alternatives we used in the past in Albuquerque. We arrive late in the evening and the check in process was quick. The young woman at the front desk was great!!! Very professional and friendly. The room was clean and the bed was very comfortable. Great experience. 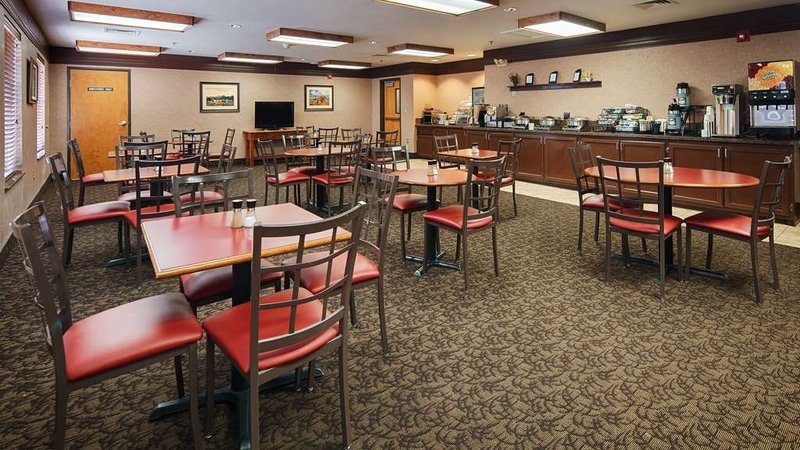 "Great front desk and really nice breakfast!" I had a wonderful interaction with Stacey at the front desk.....super friendly, super helpful! She was absolutely great. The room was very clean and smelled good. The beds were comfortable. The breakfast had lots of choices....eggs, biscuits & gravy, waffles, oatmeal, etc. There were lots of nice touches (fresh berries for a topping, very nice coffee station, etc.) and the woman who was taking care of the breakfast was really attentive and hard-working. She made sure everything was perfect! What more could you ask for in a hotel? I would definitely stay here again. I am so happy that we exceeded your expectations while staying with us and look forward to your return :) Thank you for a wonderful review !!! "Always Clean and a Great Value"
this is not a luxury hotel, but for the price, you can't beat it. The rooms are always clean and comfortable. The pool and hot tub are great. The staff is friendly. And the breakfast is well above average. "This is a very nice hotel." This hotel is a little old. There were no plugs at or near the bed. The room was quite and very clean. The shower pressure was not very strong. However, if I were to visit Moriarty again, I would pick this Best Western as my place to stay. Thank you for this wonderful feedback - we do have a remodel coming at the end of the year that will resolve the issue with the plugs :) I look forward to exceeding your expectations next time you stay ! Awesome staff, the entire weekend was delightful. If your ever in Moriarty this hotel is delightful.my children loved the pool, fresh warm cookies every night and a fantastic staff. They make your home away from home enjoyable and go out of their way for each and every guest. Thank you for your amazing review :) We appreciate you and look forward to seeing you again if your ever in the area !!!!! "Quick overnight on road trip"
Good cookies upon arrival. I'm a vegetarian but if you aren't the breakfast has a ton of hot food options. Lemonade and fruit infused water in lobby. Comfortable bed. WiFi was so so but not a huge problem. There were a few strands of hair in the bathroom but everything seemed clean. Would stay again on a road trip. Thank you for the wonderful feedback , I will use it to improve in the areas where you found deficiencies. I appreciate you and look forward to having an opportunity to exceed your expectations. We where able to secure a room very quickly over the phone and the staff was very helpful. When we arrived the lady at the front desk made check in very quick. Very clean big rooms, good size bathroom and great breakfast. "Just what it should be"
Heritage Inn is a good spot for a good sleep on the road. Always gives an impression of cleanliness and efficiency. Plus it's so very easy to access from the Interstate. Would be excellent if other humans, aka other guests, would be a whole lot quieter when they arrive after-hours, or leave extra-early. Not too fun to be jolted out of sleep. Nice friendly staff, good location. Pets allowed, great service and food. Quiet area but close to gas and not far off interstate 40. Other restaurants available in area from sit down dining or fast food. 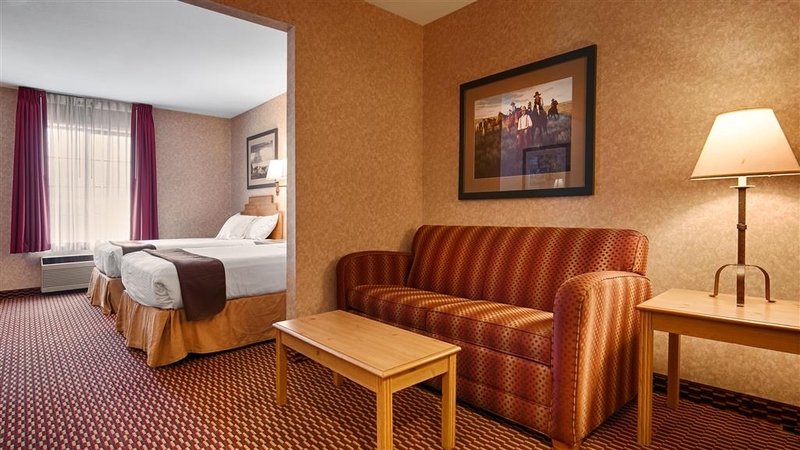 "Clean Facility, Attentive Staff, Reasonable Price"
Best Western's are not normally my go-to. I gotta be honest. Over time, I've been spoiled. There weren't many choices in this town, but I also could have stayed in the town next door. I'll try to keep you posted when I next visit, but I'd return here. When something wasn't working correctly, management sent someone right away! AND they fixed the issue!! When I wanted to be out of the room to work in the lobby with a cup of hot Joe in hand? The coffee was hot! There was even freshly popped popcorn. When the fire alarm was set off (some jerk broke a sprinkler head), management was calm, focused, helpful, and still pleasant. Can't get much better than that. I'm gonna have to share: I'd return! We had a great stay. Breakfast was delicious and the staff was wonderful. Ashley at the front desk was fantastic! Parking was easy and accessible. Close to the freeway so we didn'the have to travel too far out of our way. Front desk person was very friendly and helpful, which counts for a lot in my book. (A courteous and friendly greeting should be a given, but I find that it often isn't these days.) I appreciated the western decor -- a refreshing change from the generic chain hotels. Very good selection at breakfast. We asked for a dinner recommendation, and the front desk person directed us to Chili Hills, just a short distance away, where the service and food were excellent. Thank You for an amazing review :) We appreciate you and look forward to the next time you stay with us ! Hotel was friendly, clean and very helpful. The staff in the evening made us extra cookies and popcorn. We were a group of 16 and the lobby area was a bit small but we were allowed to rearrange the furniture to meet our needs. The breakfast are was also small but again we came into the lobby area and made ourselves at home. The sales manager was even there when we checked in which was very nice to put a face with a name. Bed was comfortable, much more comfortable than I expected. Lots of pillows. Check in was easy and friendly. Breakfast was probably the best I've had at a best western. Fresh berries, chia seeds, fresh chili's, etc. plenty of room for our Uhaul and trailer in parking lot. nice place to sleep on long road journey. Very friendly staff greeting as we checked in. We were greeted with cookies and popcorn to start us off. Later they helped with places to eat. Room attractive and beds comfortable and quiet. Definitely recommend. This hotel would have been perfect if they had not given us a handicapped room!!! When checking in, they didn't volunteer the information either. Not impressed by that!! Otherwise, I would have given 5 stars. Very friendly staff. Wonderful pool and hot tub. Breakfast was delicious. Great variety. Eggs, biscuits and gravy, cereal, muffins, yogurt, juices, waffles, sausage, bacon. Room was clean and quiet. Will stay again. Thank you so much for your review - we value your feedback and use it to improve everyday. "Really like this Best Western"
Dining choices somewhat limited on Sunday night, but worth it to stay here. Good Mexican food just down the street. Staff very helpful, and went out of their way to help out when I left a pillow. Excellent breakfast. Cook very accomodating. Thank you so much for your feedback - we value you ! I have a small dog that travels with me and I am always comfortable staying at a BW because I know the room will be clean. With the exception of one stay in Savannah GA (not very nice) I don't feel like a second class citizen and just stuffed in a room that has leftover furniture etc. and cleaned when and if there is time. Keep up the good work. Thank you for your wonderful review - we value you and your opinion very much . Loved the cleanliness and the great staff at the Best Westerns we have stayed at. The free Breakfast is great, wonderful pool and hot tubs, neat and clean rooms. The Staff is always very helpful and courteous. Thank you for a wonderful review, I value and appreciate your feedback . I stopped here on my drive from CA to KY. This was a very nice, clean, and comfortable hotel. All the staff that I spoke with, were very friendly and the breakfast was very good. I only stayed a few hours as I was passing through between long days of driving, but I'd recommend staying here and would definitely stay here again. We loved our overnight stay at the BW. The staff was very nice and friendly, especially the breakfast room lady. The rooms were very comfortable and we loved the art work, If we are ever in the area again, we would stay here agai. "Very nice, and the breakfast was very good!" We were pleased with the room, the cleanliness and conveniences. We enjoyed the breakfast selection, and the food was delicious! The convenience of this Best Western to the highway was very handy to the Interstate, making our travel easy, yet it was quiet, with no noise noted from the highway. The staff was very courteous, and helpful. We would stay there again, if traveling though the area. Everything you need when you are on a roadtrip! Friendly and helpful staff, large clean room, good air conditioning, very quiet, excellent shower and nice big comfortable bed. Would happily stay here again. Not much around it but for a one night stop it absolutely did the job. I've stayed in a lot of Best Westerns all over the United States and I'd have to say that this one ranges right smack in the middle of the pack, and I'm feeling rather lukewarm about it. Maybe this is the place you come to watch elections results after already throwing your vote away on a third party candidate. As with almost all Best Westerns, this hotel is very clean inside and out. But, the room décor and furnishings are, let's say very “average.” Unfortunately, it has the look and feel of an economy hotel (the only real color in the room is on the TV). The carpeting is a dizzying array of tan, navy, and maroon stripes. The wallpaper (pealing at some of the seams) is a bland beige mix that is supposed to emulate a faux finish. The lighting fixtures are cheap (the light above the nightstand near my headboard is inoperative). There's a wooden table, about 2 ½ ft. square, in lieu of a desk. 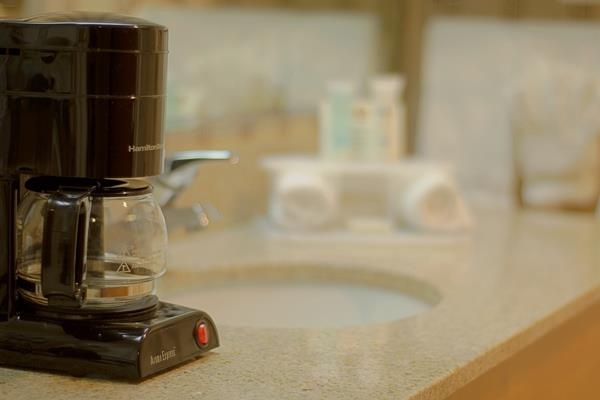 On the table is a tiny single serve coffee pot. The bathroom, like everything else, is very plain and very ordinary. The toilet is a bit loose (it bangs against the back wall when you sit down), as are the bathroom floor tiles - which need to be re-grouted (What IS that color? It doesn't go with ANYTHING – it's not gray and it's not beige – faded taupe?) It looks like it might have been on sale at a big box store (and installed by the kid who puts the bicycles together). Plus, the bathroom door could use a fresh coat of varnish. All things considered, this hotel is decidedly unexciting - simply adequate; nothing more and nothing less. [Something in the air (or in this room) is making my eyes water and my nose run - that's scary!] Maybe they should replace the wooden table and chairs with an old-fashioned card table and some aluminum folding chairs, and put some of those pictures of dogs shooting pool, or black velvet Elvis paintings, on the walls. At least that would show a commitment to SOMEthing. (Sorry, I just felt the need to inject some levity into an otherwise very, very dull situation here.) The complimentary breakfast was even less exciting. The diced breakfast potatoes and sausage looked like they had been there a while and the eggs (powdered?) were likewise unattractive. (CAUTION: If you are from the Deep South, please be seated before reading further): There was sausage gravy but no biscuits (lots of salsas and Tabasco sauce for the tortillas – but no biscuits). Feeling a bit on the adventurous side, I tried the cinnamon waffles (meh!) and the blended yogurt. Although this hotel does some key things well (the cowboy prints everywhere are duly appreciated) there are so many little flaws that I feel compelled to give it less than the average three stars. I will make it a point to plan around not having to ever stay here again. The hotel was relatively new. The bed was comfortable. Everything was clean and well kept. The staff was friendly and helpful. The breakfast was quite good with cooked sausage and scrambled eggs as well as the usual muffins, waffles, and bagels...as well as some fresh fruit. Quiet area, helpful and friendly staff. We stayed in a suite and the sofa was in need of replacement. Sagged badly and was not comfortable to sit on. There was no chair to sit in except for the hard chairs at a table. Breakfast is standard for motels. Overall the experience was good. A tad expensive for what was offered. 2nd stay at this property. Nice staff. Good location. Pet friendly. Near KFC so easy to pick up dinner to take back to the room. Great indoor pool. Easy to take our houndie out for potty break. Stairs or elevator. Stayed the night here first leg of our journey. So glad we did. Room was spotless, comfortable bed, good pillows. Like the hook on the wall for a hat and tissue box was mounted on the wall to save space. Will stop here again. This is one of the BEST hotels we stay in on our trip. Clean safe friendly. The room was wonderful and I slept so good. The girls on the front desk were great when we checked in we were given popcorn and chocolate chip cookies. The breakfast had so much to choose from eggs, bacon, sausage, Danish, hot cereal with wonderful toppings, cia seeds, almonds, raisins, great coffee and juice. We will stay there again. Excellent check in staff. Greeted and taken care of in a very inviting and professional way. Room was very clean with a few added perks. Quiet location. Beds were comfortable. Standard breakfast but all items were fresh. Nice stay. I was pleased with the stay. I would stay here again. The bed was a little too hard for me. Room was clean and comfortable. Close to fast food restaurants so I was able to walk to and from the restaurants of my choice. In the middle of nowhere, this is a surprise finding for such a small town at Moriarty. Not much in the way of local restaurants. Was a comfortable night's rest. Staff well-trained. Highly recommendable. We had a problem with an odor in the room and the manager and staff immediately got us into another room. They were very apologetic and did everything to make our stay comfortable. The breakfast the next morning was very good. All the staff we dealt with were friendly and efficient. Great value for your money. Clean rooms. Great food. Friendly staff and helpful. Easy check in and easy check out. Great cookies and popcorn at the front door along with coffee. Great internet wifi. Clean swimming pool with lots of towels. Pool friendly for the little ones. We've stayed here many times from 5 days to a full week at a time. "Great place to stop for the night on a road trip"
Stayed at this location on our driving trip to Grand Canyon, Dog friendly. Professional and friendly staff. Attractive and decorated for fall. Rooms were clean and comfortable. Used the pool and fitness room, both of which were bright, clean, and modern. The breakfast was presented well, and the girl taking care of it kept everything fresh, well stocked and clean. Stayed there again on our way home, since we were so happy with it. Received the same great service. Liked the cookies and popcorn at check in!! Check in was quick, there were fresh cookies and bags of popcorn at the front desk-nice touch. The cookies were very fresh. The bed was very comfortable and I had a great sleep. The pillows were great as well. Breakfast was adequate and filled the gap. The Best Western in Moriarty is a great place to stay the beds are very comfortable. They allow pets. They also have a good hot breakfast in the mornings. The staff were very helpful and even gave us a recommendation for a place to eat supper. The rooms were clean and quite large. The accommodations were great. Wonderful staff. Very helpful. They made us feel right at home. Very clean rooms. Great breakfast selection. We will definitely stay here again when we next travel through. "A nite in Moriarity NM"
The hotel was easy to find. The room was ready and clean. We were able to walk to get food. The weather was good, and we were able to get fuel easily the next morning. We will stay there again when we are in the area. Spent one night here while traveling west. Very nice hotel with friendly staff...popcorn, coffee, etc. in lobby. We had a very nice room with comfortable bed. It was clean as well. Breakfast, and staff for that, was also very good. This hotel was unexpectedly fantastic! Just outside of Albuquerque, which is nice if you don't want to deal with getting in to a larger city after a long drive. I had middling hopes considering the comparative remoteness of the location, and was surprised by how nice it was. 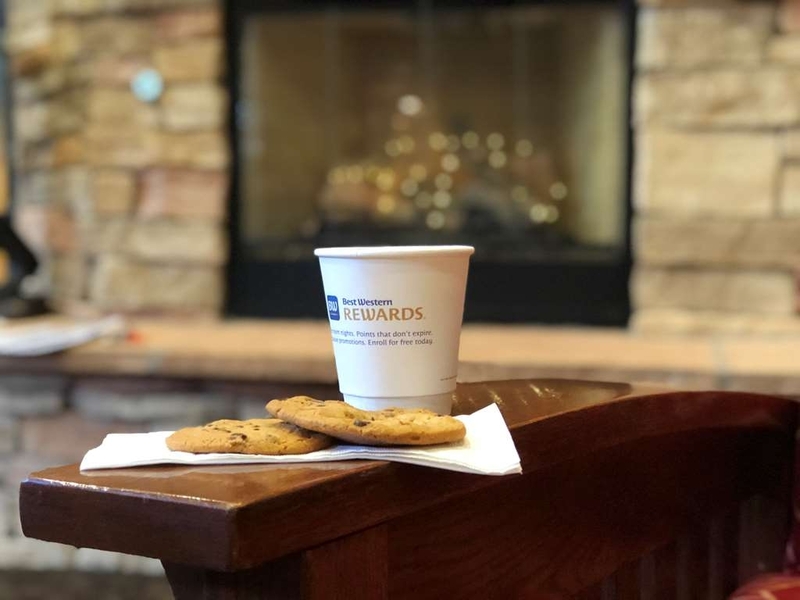 Hot coffee, delicious freshly baked cookies, and popcorn was available at the check-in counter, which was very much appreciated after a long drive. The lobby was clean and welcoming. Our rooms were similarly clean and well-appointed. Staff was friendly. Even the breakfast wasn't bad for being a hotel breakfast. I felt pleased and grateful to have chosen this hotel to stay in, in the midst of a multi-day drive across the southern U.S. I highly recommend this hotel! You cannot go wrong staying here! Oh, and bring your swimsuit, because there is an indoor pool and hot tub that looked very inviting. We stayed in Moriarty because Albuquerque was too expensive because of their Balloon Fiesta. We were greeted with ready smiles and offers of any assistance if we needed it. Being about 30 minutes outside of Albuquerque made it an easy commute to the Balloon Fiesta. Our room was well taken care of by the hotel staff and had a very comfortable bed during our 3 day stay. The staff were very friendly and ready to help if needed. We would definitely stay here again if in the area. "Good stay when passing through"
Room was fine. We arrived late and left early so we had little time. Staff assisted with directions and suggestions for sightseeing and meals. I would recommend this hotel if you are looking for value over fluff. In traveling from Michigan to Arizona, we stayed at 2 BW's. This one by far surpassed the first one we stayed at! Very clean, excellent staff. My only complaint was about the bed pillows. They are so small and thick! I have to use a pillow between my knees for sleeping and these really caused some major back issues. Very pleasant experience staying at this Hotel. Very courteous staff and very nice amenities, The breakfast was outstanding. We enjoyed our stay very much. 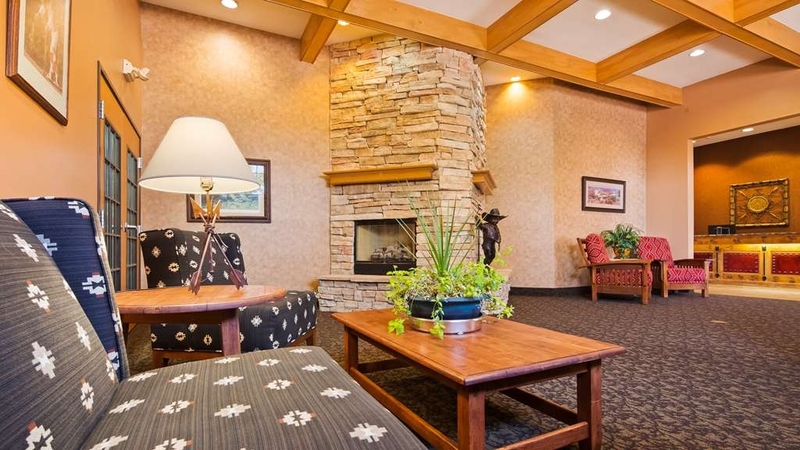 We definitely would recommend this Best Western Hotel to friends and Family. The room was clean and the bed was comfortable. The shower was like using a garden hose to shower with. Breakfast was not great. Powdered eggs, watery orange juice, etc. Staff was pleasant. Overall, okay for a night but not much more. Resort fees charged when using points An $84 room at 12000 points going out and 20000 points on return trip. Each time a $30 resort fee charged plus tax. Making it cost $66 for both stops total. I never encountered this before. This facility is an excellent choice when traveling with or without a small pet. It had everything that we needed to make our stay a pleasure. Be sure to try it, and you won't be disappointed with your choice. Very nice hotel. Popcorn, coffee, cookies, and apples in lobby. Courteous and professional staff. Comfortable and clean room. Excellent breakfast (all except the eggs which perhaps are powdered...very dry and tasteless). Thank you for a wonderful review :) So glad you enjoyed everything (except the eggs ... which I promise are real eggs with butter , so I apologize that they were not great for you ) Please come back and see us. We appreciate you ! Moriarity has several motels, I think the Best Western is the best option. It was very clean and attractive, although the pool area was out of service when we were there. Good breakfast with helpful attendant. Thank you for staying with us please stop in again when our pool is open, it was closed for some much needed upgrades. I wasn't expecting much when I made the reservation but my wife and I were pleasantly surprised. The facility was well kept, clean and provided a good breakfast. The staff members we interacted with were very nice and helpful. Our room was very clean, very quiet and the bed very comfortable. Overall, it was a good value for money experience. Thanks for your great response :) We value you as a guest !!! The staff was warm and welcoming. They had complimentary snacks at check in. Clean, comfortable, updated room. Tasty breakfast in the morning with plenty of variety. I would stay here again next time I'm in the area. After driving most of the day to get to this area, we called to ensure that our reservation would be held for late arrival. We were then told that they did not have our reservation even though we had made it earlier in the week. The person on the phone then suggested that my mother was lying about making the reservation. She then told us that they did not have a room with two beds. We were forced to find a different hotel to stay at. This will be the last time that we attempt to stay here. If the staff does not care enough to even properly make reservations, and then wants to try and blame it on the guest, then they obviously do not deserve patronage. I would like to apologize for the incident that occurred when you recently tried to stay with us. It is not the way our guests are ever treated , there was obviously a break down of several things that caused this issue for which I deeply apologize for. If you see fit to give us another chance I would be honored , please feel free to contact me directly. The staff in this motel are the best. Made us feel we were the only guest there. The beds were comfortable and the room very clean. I am tempted to join the best western rewards program.I will stay there again. 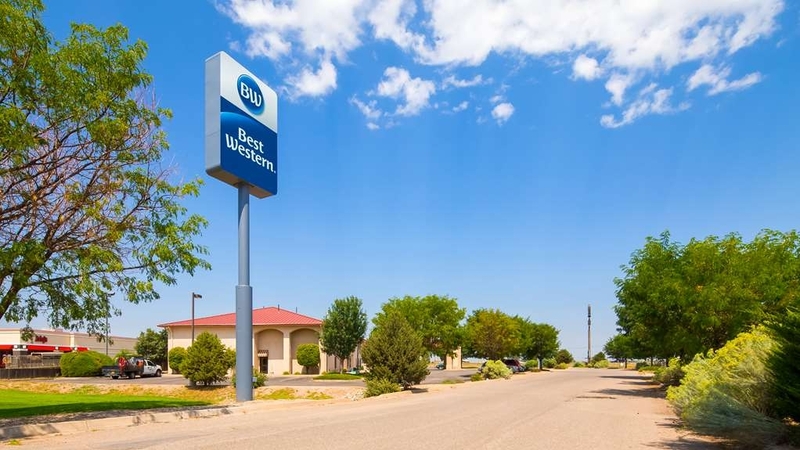 "Best Western @ Moriarty, NM"
Excellent overall, very clean, staff very attentive, great breakfast and when we checked out the staff had prepared a to-go lunch for travelers ( at no cost ). Definitely will stay here when traveling thru this area. Excellent hotel for the value. Friendly and efficient staff. Breakfast was good. Very quiet and clean. Breakfast c hoices were good. Food was fresh and flavorful. Would recommend this hotel for anyone needing lodging while traveling thru NM. Stopped in Moriarty for a quick one night stay on our way home from a vacation in San Diego. This BW was a great choice, staff very friendly and helpful, beds VERY comfortable and room very clean. Breakfast was a typical hotel breakfast. Would definitely stay again! 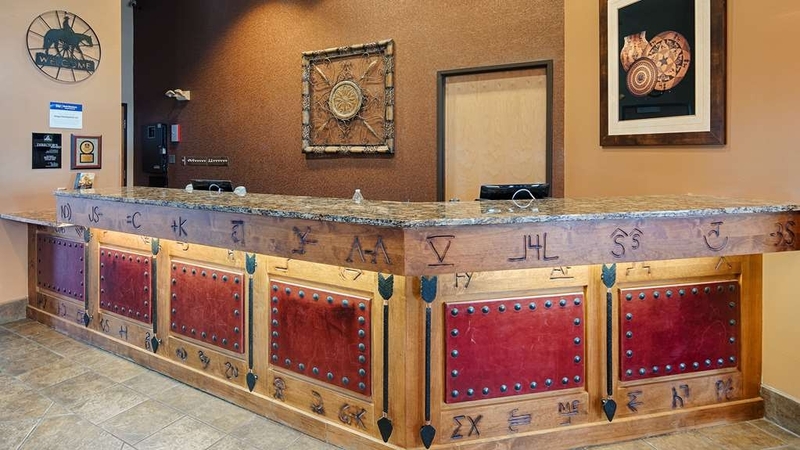 "Best Western Moriarty, New Mexico"
This hotel is outstanding. It is beautifully decorated, the room was large and well equipped, and the staff is excellent. It was an excellent value for the very reasonable price. We were quite frankly surprised that this hotel is not rated a BW Plus. We'll definitely stay there again the next time we travel that way. Very comfortable hotel with many amenities. Close to my family. Breakfast good. Gym adequate. Pool clean. WiFi kept dropping so had to re-enter several times. Many tv channels. Etc., etc. etc., etc. etc. etc. A nice surprise traveling with two small dogs. Great staff, very clean rooms and price was one of the lowest so far. I plan on staying here next year traveling across country again, I'm not sure about the food because I couldn't leave the dogs alone. Stayed one night here and was very happy with my room. Bed was very comfortable ensuring a good nights sleep. Staff was helpful and quickly replaced the batteries in the TV remote. Although the hotel is next to the highway my room was very quiet. Will stay again. "Consistent Product and Great Customer Service"
"This is the Place if You Are Pulling a Trailer"
If you are pulling a trailer this motel is a very good choice due to ample parking. 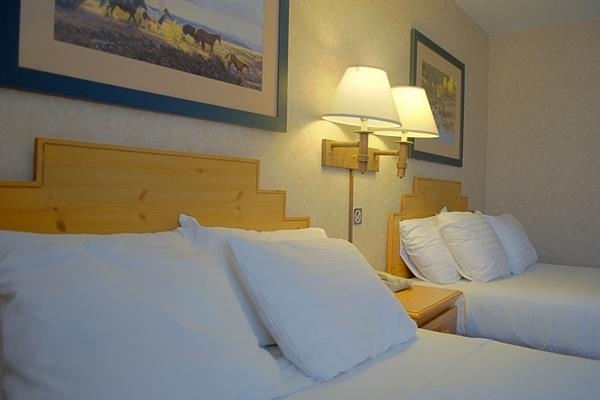 Pet friendly, clean room, Front Desk Kristina - great, pool and more, all for a good price. It is a great location, safe and relatively quite. Food and cheap gas near by. 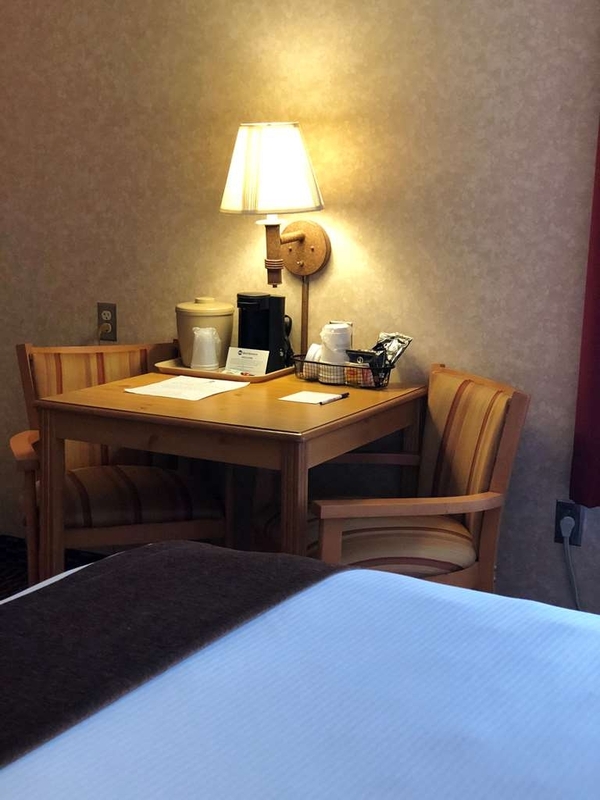 "Super treatment by the staff"
We stay often with Best Western but this is the 1st time we have been offered a free room upgrade to a suite for the same price. We were thrilled. And we received a welcome gift - some free bottles of water and a few snacks. Great hotel! Courteous, helpful staff. Clean rooms, full, hot breakfast. Paid about $10 more for this hotel than other local hotel, but carpet was clean and did not have that nasty musty smell. Inside pool. Fast food within walking distance. Close to freeway. The bed was very lumpy, was made up in a fashion that required me to remake it in order to cover myself. Sheets did not fit the bed well. I did not sleep well at all. The breakfast was OK but did not stand out as well as some of the other hotels we stayed at on this trip. Hotel staff was the only thing that stood out for this hotel. The hotels was clean and comfortable. The staff was friendly and the parking lot was big enough to hold trucks with trailers and other vehicles. The breakfast wasn't fancy but it was good. There aren't many places to eat with in walking distance, but there are fast food places close. "Best Hotel in Moriarty, New Mexico"
This is the best hotel in the city of Moriarty that we have found. Always consistent with cleanliness, good condition and quiet. Breakfast options are always good to get us on the road to Colorado the next morning. We have stayed at this location many times and never have been disappointed. This was our first stop on our Route 66 trip. What a great new and clean hotel. Very friendly clerk welcomed us at reception. Nice indoor pool and lots of places to eat close to the hotel. Good breakfast to set you up for the day! "Great place to stay over"
Staff was good. beds were great, internet wifi was ok (as expected). Breakfast bar was what you would expect and was well staffed. I would recommend to family and business travelers. The location was easy to get to and felt safe and secure. This is a relatively new hotel. Very nice and comfortable. Front desk clerk was very helpful! Breakfast is great! I really like the layout of the breakfast room. I usually like to know this, so will state, being a new hotel it DOES have an elevator. Very clean room, great staff. Not much to eat in Moriarty for a vegetarian but grabbed a slice at the Pizza Hut outlet in the Travel America. Good area behind the hotel for walking the dogs. A little spendy but New Mexico along I-40 tends to be that way, not sure why...a Rte 66 thing? Our family of 6 spent a night at the Moriarty Best Western Hotel. We had previously spent 5 nights in a Best Western Suite room for families. We new that the sofa bed would not be the most comfortable bed in the room and asked the front desk if we could get an extra room, that wasn't available, but our Check-in crew knew just what to do to help with comfort! The went out of their way to send up extra bedding comforters to help with the cushion of the sofa bed! The extra towels need for a family of 6 were delivered before we arrived in the room. Breakfast was great with a good variety of options for all the different likes of family. The kids especially loved the bacon and orange juice:) We also liked that the family suite was roomy...beds were a little small (double) instead of a queen, but for a quick night stop, it was sufficient for our needs. Were greeted with warm cookies--how can you not be happier then! Rooms were clean and the beds were comfortable. Our family loved the swimming pool. Breakfast had a good variety and the quality of food was good. Because I have five kids I have to book two rooms. They gave us joining rooms. You wouldn't think that is a big deal but after stops in Missouri, Illinois and Nebraska we realized how hard it is for hotels to put two rooms together. Overall this is a nice hotel and I would choose it again. We waited at the check in desk to check in because nobody was there. The room they gave us still had trash in the baskets. The breakfast room was dirty and the eggs and meat were cold because the device was not turned on. 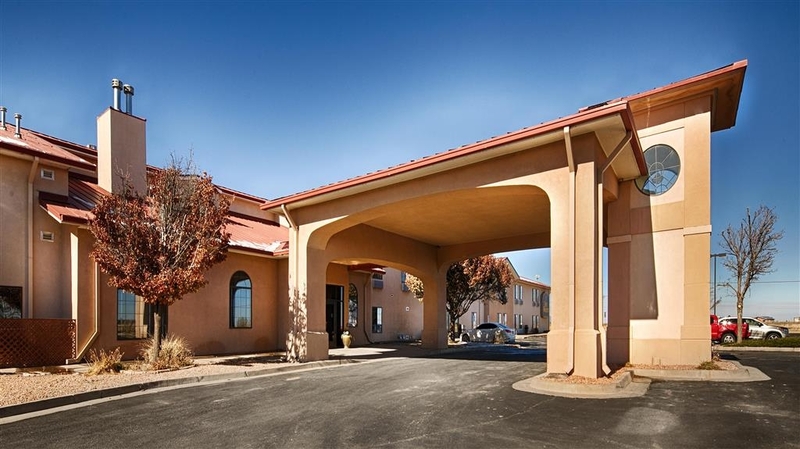 I stayed here on a trip for the funeral service of a good friend since 6th grade :-( When visiting visiting my old home town of Estancia, New Mexico, I always stay at this Best Western because of the quality service and fair price! "Safe, quiet, convenient and comfortable." The BW in Moriarty is a great choice if traveling I-40. The town is small, quiet, but has plenty of food/gas options. The hotel is also extremely quiet, though close to I-40. Bed was top-notch, comfortable. Great all around. Much superior to staying in ABQ if you are simply traveling thru. We have stayed here a few times with great service and well appointed rooms. It is easy to find. I will continue to stay here on my biannual trips across the country. The staff is helpful when resources are needed and locations require directions. A great place to relax after a hot day of driving. The rooms were spacious, the beds most comfortable, the pool and spa refreshing, the breakfast delicious and the staff friendly. We were especially impressed by the lovely, efficient staff in the breakfast room. the rooms were very quiet and could not tell anyone else was even there. Was very happy with our stay. We also was allowed to pick if we wonted to stay on the first floor or upper floors. Most do not give you that choice. A very nice and clean motel . Will stay again if in the area. When I checked in, the owner was working the desk and could not have been any nicer. The stay here was a pleasant experience all around. It shows that the owners take a lot of pride in their hotel; it was very clean, well run and had lots of nice little touches to make it look nice. The rates are very reasonable. This is the place to stay if you are in the area! Everyone was very friendly. Our room was clean. We enjoyed breakfast it was well presented and hot. It was nice to be able to run down and get a cup of coffee then go back for breakfast a little later. At check in there were cookies for a great little snack. 8 pm, no reservation, but they had accommodations for a pet room! Surprise was 1st floor, and no carpet! A laminate floor!!! No past pet smells!! So very clean and fresh... Indoor pool, hot tub, and fitness room. A free hot breakfast, waffles, scrambled eggs, biscuits and sausage gravy, sausage and bacon, al9ng with all the other standards. Highly recommend! 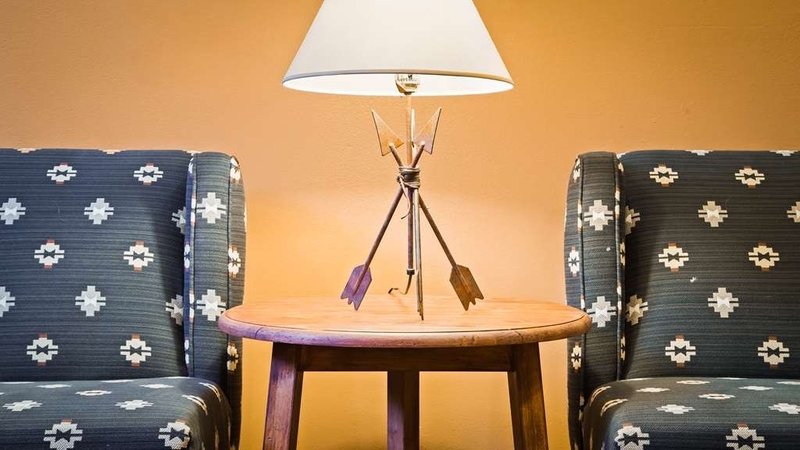 "Friendly staff, clean rooms and grounds, great breakfast." What more can I say? An unexpected oasis in the desert. Check in and check out was flawless. Very clean and spacious rooms. Hot breakfast with a great selection. We were there with family and they accomodated our room needs. The indoor pool was great. We didnt use the workout space. I would stay here again. We have found this hotel to be always well-maintained and clean, and the breakfast is extraordinarily varied and nice. It's a regular stopover for us four times per year. The rooms are nicely furnished. "Wonderful Hotel in New Mexico"
This hotel was very nice. The room was beautiful. Breakfast and internet very good. It is a wonderful alternative to staying overnight in Albuquerque as it is only 30 minutes or so east on I-40. I would highly recommend this to anyone in the area and definitely look forward to staying there again. "Easy in, eaay out, worth the money"
Good curb appeal. Lobby and rooms were clean and modern. Pool and hot tub look fun and inviting. Breakfast was disappointing. Dehydrated eggs were unappealing. Mostly sure that was bacon and sausage in the chaffing dishes but I could be wrong. Coffee and juices were adequate. Great overall value. We stay at a lot of Best Westerns. The front desk staff here were very nice and friendly. Our room was clean. Breakfast was excellent! Wifi was great also! We were glad we made reservations on the road because when we arrived there was a sign on the door that they were all booked! We had a couple of minor complaints. One is that all of the parking lot is not well lit! We could not find a happy in-between with the A/C in our room. It was either too hot or too cold and the shower head was just awful. But overall our stay was good and we would stay here again! This is an older Best Western but is clean,quite,a short distance off 40 . The rooms have a coffee maker, larger frig,a desk with 2 chairs,nice sized rooms. The breakfast is above the standard of most. Eggs,sausage,gravy, biscuit , toast, The turn in is a little underlie at night, so watch for the turn lane. pricing is very competitive.Staff was cheerful and helpful. You don't get pillow top mattresses at these low room prices but the beds were comfortable and clean. The room was also spotless and those two things are a priority for us. The heating and air conditioner unit did not have a digital readout which meant that your selections were either “High” or “Low”, therefore, the unit ran all night long, which was irritating. Additionally, there was no fan in bathroom but I'm finding that true of many hotels. I would like to end this review by saying that the room was very clean, the staff was friendly and it was close to the interstate which certainly outweighed those other slight irritations. Nice motel. About 30 miles east of Albuquerque. Convenient to not only Albuquerque but also to Santa Fe without having to drive all the way into Albuquerque. Have stayed there many times with family. Clean, warm pool and hot tub. Always clean. Friendly, helpful staff. Enjoyed our stay. The rooms was large and the beds were comfortable, as were the pillows. The amenities were standard. Would lie to see move plug-ins for electronics. Many hotels are now including the plug-ins in the bedside lamps. We stayed here mostly because it was the last of the hotels in town we had checked. Needed an accessible room, which we did not get here either because they were already taken and no other hotels in town had one that would work. The room was big enough and worked for what we needed. Clean, great breakfast and friendly desk clerks. Was able to walk to Taco Bell and Arby's which was right next door because we were too tired to go out. I was a little skeptical because everyone with a dog was on our end of the hall, but they were all quiet and it was fine. Would definitely recommend this place. Also, I did notice their pool had lift chairs for handicapped which is great if we had decided to use the pool or jacuzzi. Nice property, but noisy. We had asked the check-in clerk for a room that was away from the busier spots within the hotel. We were assigned a room right next to the side entrance/exit. Every time a person walked through that door, the door creaked and then slammed. We had been on the road two very long days by this time and seriously needed a good night's sleep. We did not get it here. When i mentioned the door issue to the manager upon check out, she gave me the stinkeye. I didn't ask for compensation of any sort. I merely stated the door was noisy and needed maintenance. Breakfast is served until 9:00 a.m. Wi-fi is available here. This motel is along the way from Arizona to Oklahoma. It is easy access off of I40 and easy on with very little highway noise. It is a nice clean place that has a great hot tub for relaxing after a long road trip. This is a great motel for such a small town. There is easy access to restaurants. Just spent one night after searching Trip Advisor for the best hotel in Moriarity and was pleasantly surprised by this hotel. The room was nice and clean, TV and air conditioning worked good, the morning breakfast looked to be excellent with scrambled eggs, biscuits and gravy, etc., in effect, it was a good night sleep and the desk people were cooperative and nice. I would definitely stay here again. "We gave this a 10!" We picked this location because it was out of the city, it was convenient to get off and on to the Interstate Highway and enroot to our way home. We were very pleased with the quality of the hotel, room, and staff. The room was very clean with modern décor. We checked in around 9:30p and out by 6:30a the following morning. The air-conditioner came on right away, cooled the room down immediately and all through the night. The night time and early morning front desk staff was very pleasant and helpful. The Hot breakfast was very good and ready earlier, which worked out well for our early departure. We were wishing we could have checked in earlier and slept in a day! "Rated a "10" for me!" BIG shout out to BRANDY! She smiled, was helpful and informative. Helpful young good looking guy at check out was very helpful. I appreciate attention to detail! This report is the first "10" I gave in my trip. I only stay at Best Western when I can and this one met ALL of my requirements and needs. Very pleased and will be back again. we stayed there in 2013 and I had it on my desirable list...yes, I do keep tract of all my stays. Thank you! Clean, spacious room, attention to detail, easy to find, good parking, local 'walk-to' restaurants. Thank you, again!!! We pick this location because it was not in a city, and it was convenient to get off and on to the Interstate Highway. We were very pleased with the quality of the hotel, rooms, and staff. Rooms were very clean and modern décor. Staff was pleasant and helpful. The Hot breakfast was very good. We were wishing we could stay a day and use the pool etc. Thank you for staying at our hotel, we hope to see you again! Maybe next time you will get to use the pool. Wow. What an attitude from everyone from the front desk to the maids. I travel and stay in hotels all the time, but haven't experienced the attitude of hotel employees like this in a long time. It's like they are doing YOU a favor for letting you stay there. Also the breakfast is inedible. The "eggs" aren't really eggs, and are cold and runny, and the sausage tastes like it's made from "parts". I'm sure it's a cost saving thing. More than anything, this staff desperately needs training in customer service. Won't stay again, and wouldn't recommend unless you like surly people at every level. I apologize that your stay at our hotel did not exceed your expectations. It is our goal to make everyone who passes through our doors a Best Western Fan. We hope that if you are in our area again that you will give our hotel another try! Please feel free to contact me via email at [email protected] so that we can further discuss your issues! My stay went very well,was satisfied with service and price will stay again. My very first stay with Best Western.My wife was satisfied with service and is willing to stay again.One thing that they can do is open breakfast at an earlier time for those who choose to leave early. Thank you for staying with us! We appreciate your feedback about the breakfast bar. Best Western does have a "grab and go" program for our travelers that leave before we open the breakfast bar. We were very happy with the convenience, comfort, and appearance of this hotel. The room was clean and confortable. The breakfast was super. Access from the Interstate was easy. The clerk was very helpful with resolving a computer access problem. Thank you for staying with us and for your positive comments regarding our hotel. We hope to have you as a repeat guest! Safe travels. "Nice surprise, one of the BEST!" Clean, neat, fresh! comfortable. TV with guide, and super reception! Internet available with easy connection. Easy to get to from Interstate 40 on Route 66 Helpful staff. Early morning breakfast was hot and ready. Very good selection, fresh fruit too. "Basic hotel but nicest in the area"
Moriarty, New Mexico is a small town which does not have many options of hotel chains. This hotel was a gem in the middle of an empty space. It was a great location for us as a midway point. The facility was well maintained and complete. The room was comfortable. I was pulling a trailer and needed parking , this Best Western has plenty . the only down side was the location of my room., first one inside the back door. the open and shutting was repetitive and noise .Staff was great. "Overnight stay on road trip." We were travelling east along I-40 and wanted to stay east of Albuquerque so we wouldn't face morning rush hour traffic. I have stayed in several hotels on east side of Albuquerque and was not pleased. So I looked at reviews and this seemed the best in Moriarty. I arrived and the staff was pleasant and helpful. We found the room comfortable, clean and quiet. During our trip, we stayed at six different hotels. We rated this as second best. The best was more expensive, equal in room quality, but had supper, cocktails and few other amenities that this one didn't. I was pleased with the cost and will stay here again if we come through the area. There was a refrigerator and microwave in the room. We had a handicapped room, that met my needs. There is a pool and hot tub. The breakfast was adequate with both hot and cold foods. "Nice hotel in a fun little town"
It is always nice to have a hot breakfast available, especially in a small town with not many food options. It is a very clean hotel and the pool and hot tub were nice too. Staff were helpful and friendly. "Very nice place with great staff "
Very nice and clean hotel with very friendly and polite staff and great hot breakfast. Very nice place to stop on our trip with kids. Also really nice indoor pool and hot tub even though we didn't have time to really relax and enjoy. "Comfortable enough within usual BW standards"
BW Moriarty was fine for a nights stay. We had a clean and presentable room, and reception was helpful to the expected level. But overall it does constitute quite good value. Moriarty is a pretty ordinary town but it does suit rather than a larger town to just transit through. Had a good stay experience. good amenities and service. No complaints. Breakfast was good. Location was also good. Not difficult in finding out. Overall experience was good, and refreshing. Keep up the standards always. This hotel was about average for a Best Western. We experienced no problems during out stay. Breakfast was good. Internet was good. Room was clean. Bedding was clean. Pillows were not very comfortable. Bathroom was clean. Nachos is a very good Mexican restaurant about a quarter mile away. "Late checkout and the window is open; so beautiful"
So Moriarty seems to be this little town on I-40 US-66 that exists to provide beds to road trippers. It's beautiful here in the high desert. It was 90-something when we arrived in the evening and it must have been 62 when we headed down for breakfast. So dry so beautiful. Last night was the night of the strawberry moon, when the full moon coincides with the summer solstice. Our stay at the BW has been very nice. Sometimes there's nothing like an open window. Today is one of them and this BW allows one to open them. Our room faces a back lot with trees. My wife is working on a speech at the desk. I'm doing some reservations for later in the trip. Breakfast was fine, well attended. All the staff have been helpful and attentive. All the mechanicals work. It's clean. What's not to like? Well a couple little gripes (but the opening window still gets this place 5 bubbles): Can't access the TV with your tablet, laptop, or phone. Nope. No fresh fruit at breakfast. Pool too small to actually swim lengths. Other than that, it's fine. "Road trip back to CA"
"Excellent place for a good nights sleep"
This was a brilliant place to stay, really good standards of cleanliness throughout, with the rooms being well appointed, with all the niceties as well. Quiet and comfortable. The breakfast also, of good quality, it makes a pleasant change. Staff were courteous and helpful. Highly recommended. Excellent Hotel, Clean Room, Air conditioner works, Internet fast. TV clear good selection of stations, Safe area of city , no problems at all. We stayed at this hotel two different nights with a week between stays. Requested same room for second stay, were given same room as requested. "A 5-star hotel in a 3-star price range!" Whether traveling east or west on I40, a perfect place to hang your hat for the night! 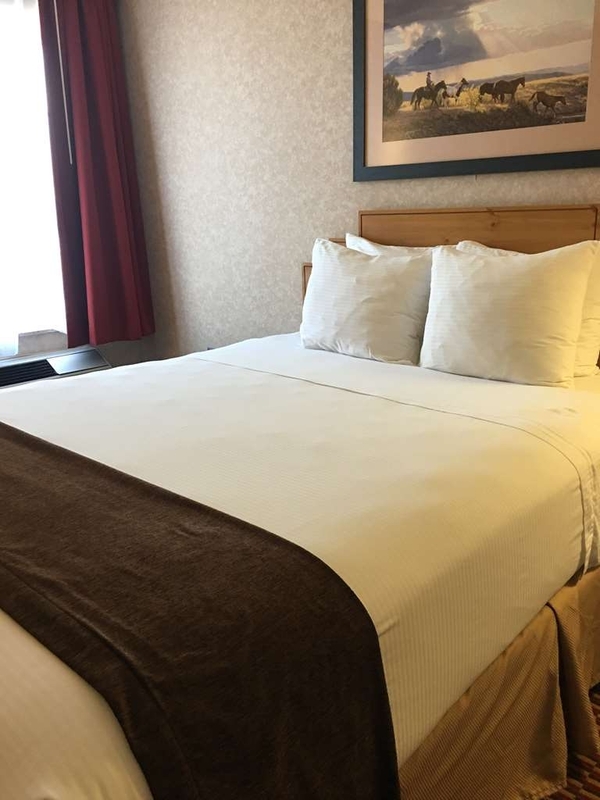 Super clean rooms and well-appointed common areas coupled with a helpful and friendly staff makes for a great night's stay. Oh, and they have a delicious and complete complimentary breakfast! "Stop through on road trip"
We were weary travelers looking for a nice clean, comfortable hotel and this Best Western fit the bill. The price was good too. The room was perfectly clean. There is a nice pool/hot tub but we didn't use it. 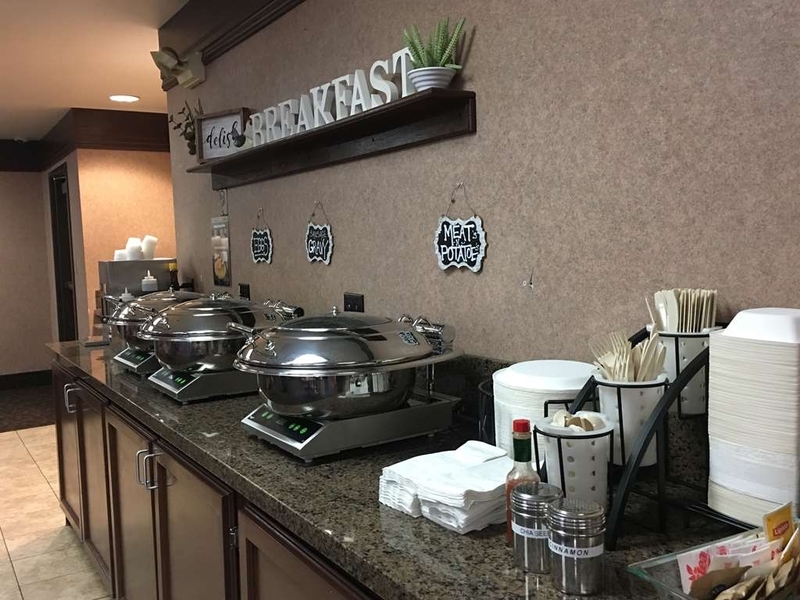 The continental breakfast was a very complete breakfast with fresh fruit, pastries, cereal, juices, hot coffee, bacon, eggs, biscuits and gravy, sausage, waffles ... I'd not hesitate to stay again. Thank you BW for a nice stay. This Best Western is one of the nicest and cleanest we have stayed. We always stay at this hotel on our way to California. 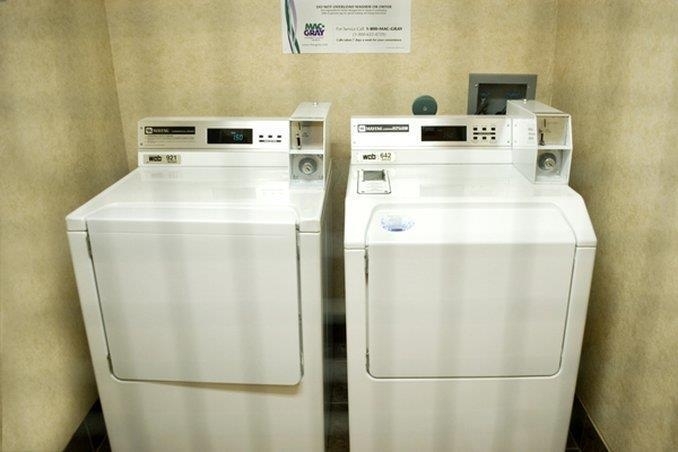 We would recommend this Best Western if you are in need for a clean safe room. "Very clean, Comfy, Roomy & Affordable!!" I am now a believer in Best Western Hotels and Inns!! 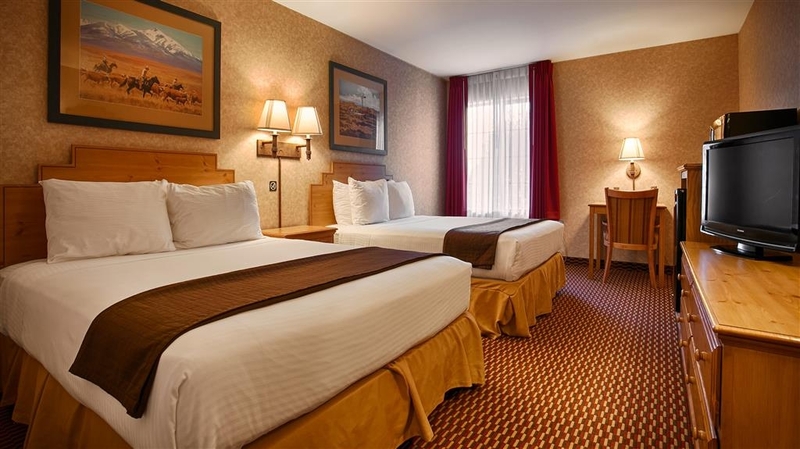 My friends and I stayed at 2 different ones on our trip to Grand Canyon, this one in Moriarty and another on the way back in Albuquerque....both were very comfy sized rooms, very comfortable beds and pillows and a very nice staff! We sure appreciated them! "Well located and being updated"
Personable staff, clean and pleasant rooms in western motif, well appointed with fridge and microwave. Easy in and out to rooms and plenty of parking to include large vehicles or trailers. The 1st place that ever asked me for a floor preference on check in. Pool and exercise room. "Moriarty Best Western Great Value!" We don't usually stay at a Best Western but the choices in Moriarty were slim pickins! We were pleasantly surprised by the exceptionally friendly staff and very clean room. We weren't looking for luxury, just a place to sleep on our quick jaunt to a family crisis. I would recommend Best Western in Moriarty, NM without hesitation. Clean rooms, comfortable bed, no noise issues, pool/hot tub was great, breakfast was good. No complaints. There was a pow-wow in Albuquerque which took away most rooms within our price range. This one, about 30 minutes before Albuquerque, fit our needs well. We visited the Petroglyph National Monument the next morning. The motel was clean, comfortable. Would be better to have an easy chair in the room to have a better rest. There was only one straight chair in the room. It is not comfortable to have to sit on the beds. The Breakfast was excellent with good help from the employee. The Moriarty New Mexico was a great place to stay. The room was clean and the beds were very comfortable. The only thing I would change is the shampoo . The front desk was very friendly and helpful with directions to attractions in the area. "One stop in a very long trip"
Stopped here for one night at the end of a 6000+ mi trip to move our daughter. The hotel was clean and the bed was very comfortable. Easily accessible from the interstate but still very quiet. Booked online through the Trip Advisor app, very easy. About 30 minutes from the Albuquerque crush, the Heritage is a good overnight stop for east or west bound travellers. There are limited dining options in Moriarty, but there are options and a grocery store is close by. My husband and I were traveling home from Arizona and stopped at The Best Western. Although I thought the price of $89.99 was high because it was not a plus hotel we decided to stay because it rather late and did not have a reservation. The check in was great and breakfast outstanding even though it was not a plus hotel. Would definitely recommend. The hotel is nice, clean, beds were pretty good. We travel with a large dog, so having a place to walk him is important to me. There really was no where except a patch of rocks /stones, which would have been fine except there were so many piles of dog droppings. I don't think the staff ever checks that area. Not that it should be thier responsibility, but for owners who don't pick up, it's thier establishment, so they probably should if they want people to come back. The breakfast is very good. Nice warm, soft biscuits, gravy, sausage, eggs, etc. Worth the stay in itself. Seriously, the only downer was not having a clean, grassy dog walking area. I am usually a Country Inn n Suites follower - but this trip we have been following BW facilities. They all seem to be upgraded... New carpeting, new upholstery chairs, new clean coffee makers, excellent hot breakfast with servers who greet guests with a smile and helpful attitude, friendly desk persons. This hotel again surpassed my expectations. Very clean!!! Inviting lobby... Beautiful indoor pool n hot tub. A gem in this little city. Good work Best Western!! You may have converted me to a BW follower PS. The offer... Stay two nights and get a $25 coupon for future stays was a nice incentive. The desk person told us that a customer can stay the limit of 10 nights for a total of $125 in coupons if you stay before May 8, 2016. Nice deal for cross country road trip travelers. Just stayed for one night but it was great. Traveling with my girlfriend so we spent the night at this hotel and everything went great. They were out of rooms with king size beds so we stayed in a room with 2 queen size beds that was the negative thing we experience. The room was very clean and quiet, and the bed was comfortable. Awesome hotel. "Clean with usual hotel breakfast!" Stopped for night. Clean, nice rooms. Be very sleepable but I was 3 shades of exhausted. Breakfast was typical for chain. Hot, fresh, juices, coffee, waffle maker. Convenient to I40. Highly recommend. Had and enjoyable stay at this motel. Pros....nice large room with a large bathroom.....wifi in room worked very good.....coffee at front desk was excellent.....room and bathroom were very clean. Cons....non a lot....have had more comfortable beds and the pillows were a little small. It had been some time since staying at this location, nice room , but internet very slow even with their wireless. Bed ok,, not the newer thicker mattress. Clean room and heater good. Parking fine too. Rate some high for off season, esp compared to some other properties in area, but a Best Western member and wanted points. Breakfast usual, but good. Would stay again. "Very nice place in Moriarty." We were driving after dark and found this place on the internet. We didn't want to be wandering around after dark in ABQ, so we gave Moriarty a try. This motel was very easy access off I-40 and easy to find. I didn't agree with another reviewer's concern with finding the entrance since I had no problem. The rooms were very nice, very quiet with comfortable bed. There were many other amenities such as indoor pool and hot tub, weight room, washing machines, vending areas and ample stairways if you didn't want to use the elevator. Breakfast was hot and cooked. I would stay here again in a heartbeat (we go to SW Colorado often) and would recommend it to anyone. I sure beats struggling with Albuquerque traffic after dark! Great last minute booking. You get a neat, clean room with comfortable beds and a full, hot and cold breakfast for what you pay. Service is great. We checked in late night and had no problems. They also have a heated indoor pool. We have made two trips from Minnesota to Arizona and stayed at this hotel twice and we really like it. The rooms are clean, nice and not cramped. The breakfast is good. Not Wow, but good. We will stay here again! Pet friendly room, first floor. Clean. No carpet in room. Very nice. Smells fresh. My only down was I was ready for cookies and they didn't have any. Being on the road for 10 hrs, we look forward to these little perks. "Best place to stay in town. Just fix the tv." Very nice place,clean & quite rooms. Indoor heated pool & hot tub was nice for use in the winter. Parking is nice. Had microwave & small fridge in room. The free breakfast is nice if your into that. You can walk across the street to 7 Eleven if you need something.The only complaint I have is the TV. The picture was horrible and hard to see. if they had a shuttle it would have been a excellent stay. this area does not have any taxi or any type of transportation to help get around to any of your stores in town. we were there for 3 days and in need of personal supplies and had no way to get them as we were driving a large truck. "Great Place to Catch Your Breath on the Interstate"
This is a very nice place to stay and relax either before, or after, going through Albuquerque. The motel reflects a careful attention to detail, and our room felt as if it had just been renovated before our arrival. It was clean, quiet, and comfortable. There is ample parking, and the motel is conveniently situated on Moriarty's main street close to gas stations and a great selection of local and fast food restaurants. The motel-provided breakfast offers something for everyone in a better than average dining area. The room price and the great staff make this one of our "regular" stops in this part of the country. This is a nice small town stop about an hour from Albuquerque, NM. (Without the hassle of the city) Everything is well kept and clean. The staff is pleasant every time we stop here. A big plus is they boast an elevator! The very best part of the stop is there is parking in back that accommodates several large rigs /truck & trailers at one time. "Great Place to stay in New Mexico"
The Best Western in Moriarty was a great place to stay, non smoking, super clean rooms, with amenities, super staff, and just a great place to stay. The hotel is also a great place to have breakfast, and super atmosphere to meet other people who share their terrific experiences staying at Best Western Hotels. This hotel had clean rooms and a friendly staff. The breakfast was included in the price but it was just OK. The price was pretty good. It's right next to interstate 40. There are not many restaurants in Moriarty though. Great, easy to find location. Wifi and printer available in the lobby. Nice Indoor pool and large clean rooms! I would recommend and would stay here again. Hotel staff was friendly and patient with all the guests. Breakfast was okay, normal hotel items like waffles, breads, and biscuits and gravy. "Everything an interstae motel needs to be"
Not much to add here, Great service and staff, good breakfast. Property is probably due for an update but was very clean and well kept. Good value, Close enough for activities in Albuquerque. Small refrigerator was welome. "Good Place for a Stopover"
Good place with average sized hotels rooms--clean and comfortable. Walls a little thin--we could hear the next door neighbors urging on Denver Broncos to take the football away from the other team. Breakfast was slightly below average as there was not as wide a selection as other places. "Nice Motel If Your Out On the Road"
THis is an excellent place to stay if your out on the road travelling on I-40. It is quite and a good place to relax and rest if you are going out on the road the next day. The breakfast is great also. "Nice hotel, room and breakfast"
Nice big room. A suite for the four of us wasn't available but the room was large with a large bathroom. Worked great. Only complaint? was the air conditioner blew right on the closest bed occupants faces full force. We used a chair with a pillow in it to block the direct blast. You're never sure when you stop in a city you don't know. We felt safe and comfortable. Price was fair. Hotel was clean which is our first concern. Town was small so we were delightfully surprised by the quality of the hotel. "The Hotel itself is nice"
As stated in the title, the hotel itself is nice, quite nice. the bed was quite comfortable, it was clean, the reception and lounge area was really nice (It made me wish I was there in winter with the fireplace and decor). Reception staff were friendly and helpful. The only reason I marked this hotel down and the most disappointing thing was breakfast. Breakfast was included in the room price and was supposed to finish at 9.30am. We were travelling with another party and there were 6 of us all together. We came in at a couple of minutes after 9am, several staff were sitting having breakfast. We went to get breakfast and there was hardly anything left in the hot buffet apart from a little scrambled egg. We didn't see any other staff except those having breakfast. I asked a table of two if more food would be coming out and was told no. There was some cereal and bread for toasting. Another couple and their daughter came in as well and they weren't impressed, they also asked if anything else was coming out as it was only ten past nine. they gave their daughter some cereal and they just had coffee. The others we were with got the last of the scrambled egg for their two young kids and we had coffee and juice. While sitting there a couple of others came in and left after looking what was on offer and the staff left and it was one of them who cleared down the buffet. So I wondered was it because they were on breakfast that nothing more came out. We ended up buying breakfast on the road - not something we wanted to do or even should have had to do really. Sure staff are entitled to breakfast but there should be enough for guests and replenished when there is still 30 mins left of breakfast.